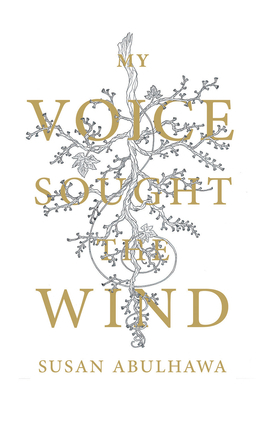 “I wrote poetry before I wrote anything else,” says Susan Abulhawa, esteemed Palestinian-American author and social activist, in the introduction to her first book of poems, My Voice Sought the Wind. This new work followed her highly acclaimed novel, Mornings in Jenin, which has been translated into 32 languages since it was published in 2010.My Voice Sought the Wind represents five years of Abulhawa's best poems on the timeless themes of love, loss, identity, and family, brought to life through her vivid observations and intimate personal reflections. She writes from her own experience, with a style that is romantic, but tinged with disillusionment, often a bit sad and always introspective. Susan Abulhawa is a Palestinian-American writer from Jerusalem currently living in Pennsylvania. She has written two highly acclaimed novels, Mornings in Jenin (Bloomsbury 2010) and The Blue Between Sky and Water (Bloomsbury 2015). Her political commentary has appeared in numerous outlets throughout the United States and internationally.In 2001, Abulhawa founded Playgrounds for Palestine, an NGO that builds safe spaces for children in the occupied territories and UN refugee camps.